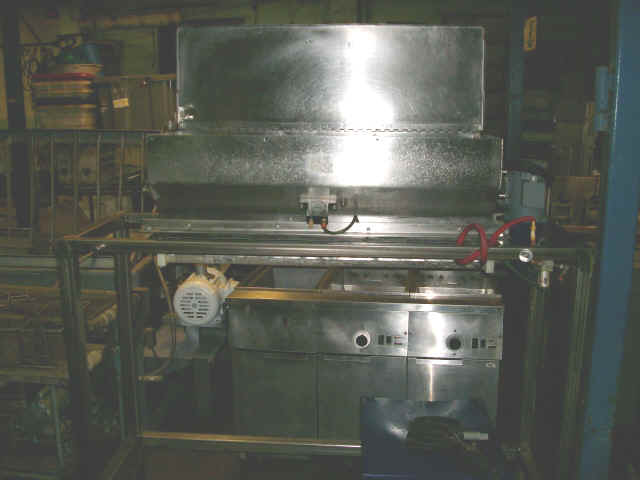 Stein TM Series batter mixer automatically proportions, mixes, and transfers all thick and highly leavened batters. It is designed for use with Stein tempura style batter applicators. Adjustable floats control liquid level for one or two bag mixes with special mixing cage designed for quick blending action while hydraulic drives provide infinite control of mixing action for precise blending and gentle transfer. Batter transfer is handled by a low-revolution, sliding vane, positive action pump in order to ensure gentle batter transfer. The unit has 150Lbs water capacity along with 50-150Lbs of dry mix. The batter tank capacity is 300Lbs (43 Gal.). The mix time is 0-5 minutes and the batter transfer is 100Lbs/min water temperature at 40 degrees F.